strength, skill, intelligence, and experience. Many companies advertise piano moving as one of their services. We are the only Boston piano movers that only move pianos. 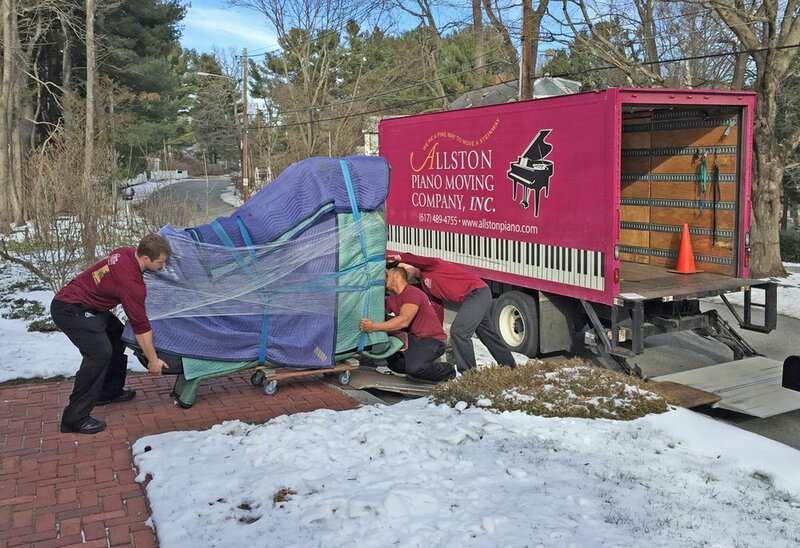 With more than 60 years of experience in the fine art of piano moving, only Allston Piano Moving Company is uniquely qualified to move your piano. Complete piano moving, including all types of pianos, harpsichords, and other keyboard instruments. Piano Storage with climate and humidity controlled rooms. Highly trained and experienced piano movers. Craning and difficult access piano moves. Piano rentals: offered through our sister company, Piano Rentals of Boston. 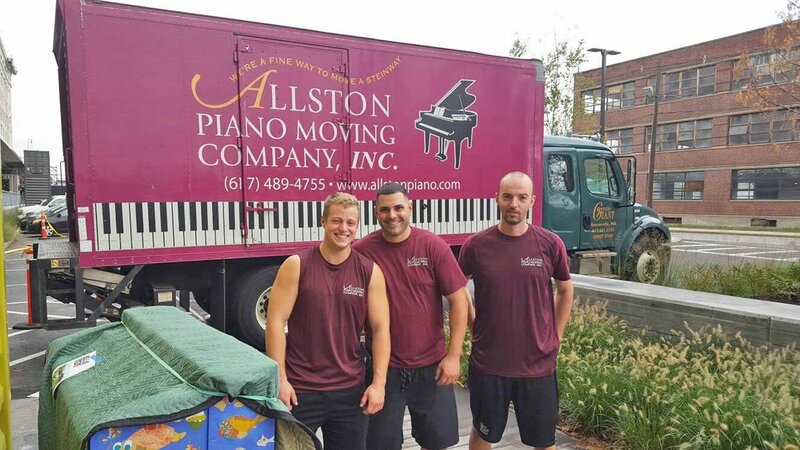 Other piano services: At Allston Piano Moving Company, we know and care about pianos. We can recommend piano tuners, technicians, or appraisers in your area.